the new community in the highland forest of pierce county, inspired by the land, connected to nature and designed for the families who will make it their own. Actual development may vary from developerâ&#x20AC;&#x2122;s vision. No guarantee can be made that development will proceed as described. ÂŠ 2012 Newland Real Estate Group, LLC. All Rights Reserved. savor summer! 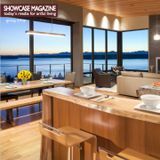 Summer has arrived and we at ShowCase Magazine invite you to savor the ease of life that comes with the “Art of Living” in the summer months. Savor longer days, dining al fresco, travel and the best of cultural experiences here in our backyard. Speaking of our backyard, we are pleased to turn the spotlight on singer and Tacoma native Vicci Martinez. She graciously shared her insights on life, success, music and her unique perspective coming from Tacoma. Cooking in the backyard takes on an innovative twist with Chef Holly, recently named Celebrity Chef for the 2012 Gig Harbor Food and Wine Festival. Learn about her love for cooking and why our area’s abundance of rainy days keeps her in a constant state of creativity. Senior writer Candace Brown shares the expertise and design plans for Tehaleh, by Newland Communities. The master plan for these 4,200 acres in Bonney Lake will be developed through local feedback and a mindful approach to the strategic vision for a sustainable, vibrant and rich community, you guessed it, in our backyard. Looking for a summer retreat? Your wanderlust will be inspired in our ESCAPE feature on the resort at Port Ludlow, now receiving accolades from the sophisticated traveler as the gourmet boutique getaway that is surprisingly close at hand. 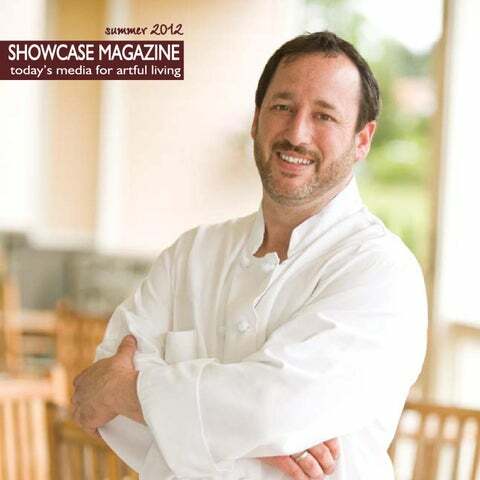 We welcome you to the summer edition of ShowCase Magazine. We trust that the images and stories that follow will be savored as much as the warmth of summer in your backyard. community events | lemay wine & chocolate affair Beautiful vintage cars took center stage at the inaugural LeMay Wine and Chocolate affair. This fabulous event, held at the historic Marymount property, featured the LeMay familyâ&#x20AC;&#x2122;s beloved collections of over 1,500 vintage vehicles. Historic cars along with some of the greatest wineries and candy-makers in Washington made it an historic event to remember. Proceeds from the event support the LeMay Family Collection Foundation. artist spotlight | vicci martinez It’s been a whirlwind year for 27-year-old singer and musician Vicci Martinez. Originally from Tacoma, Martinez has been a local music scene staple around here since the mid-’90s. After her appearance on “The Voice” last spring representing Team Cee Lo, Martinez’s performances, the popularity of her funky soul music, her talent and her fans have proved to be the perfect storm propelling her forward. Now she’s landed in Los Angeles with a record deal, a new self-titled album, “Vicci,” coming out this summer and a pending concert tour. But success hasn’t been overwhelming. Martinez has found herself just saying “Yes” to opportunities—and to Hollywood. ShowCase Magazine caught up with her to hear all about it. TAMMY ROBACKER What are your musical inspirations? I’m a writer, singer and musician, so the music that grabs me the most are songs that usually have inspirational messages. One of the things I’ve tried to do, too, is write my instrumental work to evoke emotion. It’s a hard thing to do as a musician, but when you get it, it’s powerful. My music fits into the pop rock soul genre. My voice is based in gospel training that I had, so there is definitely a soulfulness to it. I grew up playing the violin. I play guitar, drums, other percussion and a little piano. I learn what I need to learn, too, but I’m not a prodigy. Mostly, I play guitar. How did growing up in Tacoma influence your music? I think there’s such a grounding energy in the Northwest. It keeps you humble. I had a lot of people support my music here, but there’s such a realness and connecting with people. Not to say LA doesn’t have the same type of scene, but after being on a TV show like “The Voice,” it’s a different game out here. There’s so many people trying to get to that next level. For me, knowing success in Tacoma first, there’s more of a feeling of quality, enjoyment and experiencing the music. Having those roots helps me in LA. How did your appearance on “The Voice” change your life? I am really grateful that I had that opportunity and I seized it. I just said “Yes” to it. For the last 10 years, I had been looking for a way to reach a wider audience. All the blessings that came from it amazed me. On this platform, now I have more fans to say that to. Sometimes taking that leap opens up so many beautiful doors in life. What can fans expect on the new album? I feel like it’s definitely an evolution from my last album. I worked with some hot producers and did more mainstream, electronic, pop and up-tempo stuff. They helped me hone in and make the songs really stand out. But you’ll still see my moody, soulful, funky music. That is who I am. Alice in Wonderland themed, the 2012 Star Chefs event at the Broadway Center in Tacoma amazed it’s 350 patrons with festivities and surprises. Attendees enjoyed an evening filled with bidding, dining and entertainment. Most sought after auction items included a winemaker’s dinner for 8 with Corvus Cellars, private tour of California Wine Country and San Francisco for 6 couples and a white gold aquamarine and diamond pendant designed for Star Chefs on Broadway by LeRoy Jewelers. Star Chefs on Broadway raises vital funds for the Broadway Center’s Education Programs that serve more than 35,000 students and teachers annually, making it the most dynamic and impactful program in Washington. OPEN WEE KENDS TH ROUGH December 19 th LAST MINU TE SHOPP ER’S DELIGHT December 22 , 23, 24th! Special Live Music Events. 700 4th Avenue East Downtown Olympia (360) 753-5700 | Follow us on Facebook. chef holly, 2012 celebrity chef If you want to know why Chef Holly Smith loves cooking in Washington, blame it on the rain. The boutique resort is pet-friendly and has an inviting upscale feel. Quaint and compact, the resort has the charm of a southern home, complete with long porches that beckon the traveler to sit and contemplate. The charm extends to the service as guests are treated like friends. Well-appointed rooms come standard with gas fireplaces, a spa-style soaking tub, flat-screen televisions and, our favorite, a soft down comforter atop the bed. As you arrive you are greeted by breathtaking scenic views of Ludlow Bay with a lush tree-lined coast and magnificent Olympic Mountains as backdrop. Situated on the pristine shores of Ludlow Bay, the Resort at Port Ludlow is a welcome oasis, set in a banana belt region known for warmth and sunshine. YOU NEED AN AGENT, NOT A WEBSITE Family and Cosmetic Dentistry | Teeth Whitening State of the Art Technologies WE CREATE SMILES FOR A LIFETIME Choosing the right dentist is an important decision. At Rainier Dental, we are here to serve our patients in a courteous, professional and kind manner, to let our patients know they are valued and to develop relationships to last a lifetime. Enter Connie Hara. She directs the Go Red for Women heart health program for the South Sound division of the American Heart Association. Based on the 12-week Better U health makeover plan­—outlined on the Go Red for Women website—she created a new program by the same name, accessing local health care organizations. She wanted to reach women at risk. Many women from Pierce and Thurston counties applied for the Better U program. Wheeler was one of only 13 selected between the ages 30-60. Hara explained the selection process: “They had to fill out a five-page application and tell us what they ate, how often they exercised, what their goals were, and what they wanted to get out of it. I think they came into this thinking, ‘Sure, that sounds like fun. Yeah, I could make some changes.’ But what we really found out is that all of us are at risk. Among women, heart disease remains the No. 1 killer, causing one in three deaths,” said Hara. Can Your Loved One Benefit From An Easier Lifestyle? To help determine if you or a loved one could benefit from moving to a retirement community, answer these few questions below. 1. Do you worry about Mom or Dad’s safety? 2. Does your Mom or Dad snack instead of eating balanced meals? 3. Is house keeping and yard work becoming difficult for Mom or Dad? If you answered YES to any of these questions it may be time to consider moving to a retirement community. Find your around the clock solutions for back pain. As Americans live increasingly longer, many require ongoing, long-term care. This care often falls to grown children—men and women in their 40s, 50s and 60s who are busy with careers or perhaps children of their own. Getting caught in this caregiving “sandwich”— growing children on one side, aging parents on the other—can be an emotional and financial burden, especially if you don’t know where to begin or how to get help. If you are caring for an elderly relative, or soon will be, consider an eldercare law specialist to navigate the legal and financial matters. “ShowCase Magazine” met with eldercare law professional Janet Moody of Olympia to share her expertise on the topic. What is eldercare law? Simply put, eldercare law addresses the legal needs of the elderly. Elder law professionals specialize in retirement benefits, estate planning, health care and related issues. Our entire focus is on helping seniors and families. We end up undoing a lot of documents that are not prepared properly. When should we have it in place? Unfortunately, most people wait for a crisis, when they are experiencing health decline. Why not prepare now while you are healthy and have the time? Executing these documents is an act of protection for you and your loved ones. What is life care planning? I became really frustrated when we were working in a traditional eldercare platform. It did not meet the full needs of our client families. Life care planning is a new model of practice. It adds care management and long-term care planning to eldercare law practice. It is a more proactive approach to the eldercare law guardianship work. (253) 230-6464 or (253) 678-2366 Ask about our eyelash certification training!